About 7 and a half years ago I had a car crash. I pulled a U-turn outside my house in the quiet suburb of Figtree in Wollongong, NSW and was struck on the front drivers’ panel by a car that I guessed was doing about 90km/hr. Unfortunately, I was deemed at fault (the Police effectively said that they weren’t able to prove he was speeding because there were no skid marks – my argument was that he didn’t have time to brake because he was going so fast – but I digress). Fortunately, the other driver did swerve because otherwise, he would have T-boned me and chances are I wouldn’t be here writing this. For that, I consider myself incredibly lucky. However, despite all the fortune, I do consider myself also slightly unluckier than some, and that is due to the daily pain and discomfort on the left side of my neck (Whiplash) that accompanies me everywhere I go. It is here right now as I write this (somewhat stronger now that I’m focusing on it). Don’t get me wrong, I manage absolutely fine now, but I recall it being quite bad in the first few months. However, I did the right thing initially and booked in for a Physio consult. I didn’t go back to see my Physio, and I didn’t do the exercises. I saw a local physio about a week after the accident whom I believe – knowing what I know now – actually let me down, and he let the physiotherapy profession down. From memory he did some massage, might have put a heat pack on and then prescribed me a weird neck exercise on all 4’s (speaking as an undergraduate exercise science student at the time) and told me to “see how I go” and call if I wasn’t getting better. I wondered if he actually did want to see me again? Did he care if I was doing better? Maybe he was thinking of my back pocket being a student – but I certainly wasn’t. I was a young, fit, virile male who just turned 20 and I did not want to do some strange looking exercise that didn’t even bring on a sweat. All I wanted was to push and pull and throw and lift and sweat! I grew up playing sports and running. I feared that I wouldn’t get back to those things. Mentally at the time, my ego-driven immortality shroud (seen predominantly in males under the age of 25 due to a still-developing pre-frontal cortex) had been shattered. Also, mentally, I was having nightmares and was anxious about driving. two major things we did not talk about in my physio consult. I guess I existed in a state of confusion about my pain for about six months, until one day during a practical class in the final year of my Exercise Physiology degree at the University of Wollongong. We covered exercises for neck and shoulder dysfunction, and I was the example patient for my classmates. I remember my fellow students prescribing me these basic, boring textbook exercises until our musculoskeletal lecturer Deidre McGhee (a practicing physiotherapist) stepped in to ask them to think about who they are working on. In doing so she reminded me too. She gave me exactly what I needed at the time. Permission and empowerment. Two very major things in chronic pain. I then took a particular interest in chronic pain when I went to study my Masters of Physiotherapy at Griffith University. Now into my 5th year of clinical practice, I have developed my clinical skills to a point where I can now focus on a particular area of interest. For me? You might have guessed – Whiplash Associated Disorder (WAD). Whiplash doesn’t tend to recover well – if there is still pain at 3 months after the accident, there is a 50% chance there will be ongoing pain 5 years later. After an accident, if you can’t turn your head as far as you used to, or you find cold stimuli painful, your risk of long term disability is much higher. This risk remains high if you have severe pain, or are having trouble doing everyday tasks (reading, lifting, concentrating, working etc). High levels of post-traumatic stress go hand in hand with poor recovery. 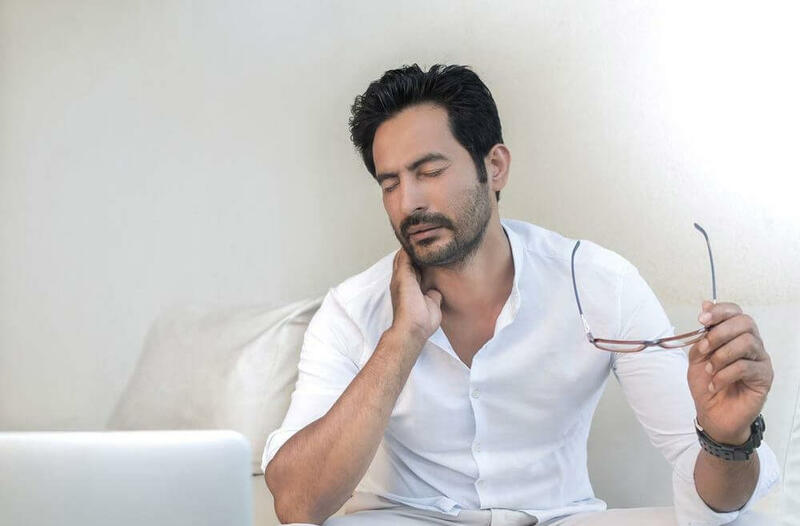 If you have any of these things and you’re within the first month or two after your accident, the timing is crucial to reduce your risk of pain becoming chronic and disabling. Either see a physiotherapist or talk to your GP about seeing a physio (and a psychologist if you’re having flashbacks or anxiety). CTP insurance covers nearly all cases of Whiplash recovery and treatment. Though please, in a bid to avoid the situation I found myself in, see if you can find someone who has done some advanced training in Whiplash Associated Disorder within the last 2-3 years. Learning from the physio I saw, in my professional life, I tend to listen to the person in front of me and ask many questions. It allows me to focus on the needs and goals of the person that is sitting in front of me and then applying the most recent evidence to assist them to achieve those goals. For those that are past the initial few months since their accident, there is still hope of reducing your overall pain and disability. I have seen significant improvement in people using any necessary manual therapy, some tweaks to their daily life, and an increase in their exercise and activity safely under supervision. It’s amazing the difference in your life when you find the person who knows exactly what you need at the time.